Completely off topic from SharePoint. This is the kind of thing that will make you stop and think before turning down your next potential business deal, or partnership. I am sitting at the airport getting ready to head out to the West coast of our wonderful continent. Coming from the most Eastern point in North America, such a journey can make for quite a day. Basically I leave here in an hour or so and arrive in Seattle in about 14 hours thanks to a lengthy stopover in Toronto. I would say I am well prepared for the journey with a few TV shows queued up on my phone, a charged up Nintendo DS and a half a dozen games and a laptop oozing with work to be done. However it would seem a mere 30 minutes into my journey I may not be in as great shape as I would hope. I left my passport at the ticket desk…then proceeded to security after leaving my purse in the coffee shop. I could see the fear in Shane’s face as he sent me on my way. I am normally fairly on the ball when travelling since I do it on a nearly weekly basis. Perhaps the burning the candle at both ends is starting to show through and it is time for me to catch up on some Z’s. Wish me luck! Hopefully I will arrive in one piece with all my belongings. Now that Shane and I have finished our book, I am hoping to get back on track with the blog series that I started back in the Beta cycle called The Beauty of SharePoint. Back then everything was so new for me and I was truely learning as I was going. Now nearly 12 months later, 20+ projects and 2 book projects later, I definitely have a lot to share with the growing base of SharePoint users and admins out there. I am travelling to Redmond on Monday to do some work out there but will hopefully have some time to get things kickstarted while I am there. If you have anything you would like to see covered over the next few months, drop me a line here and I will do my best to get to it. Looking for developers, fluent in french for a community project. If you are fluent in French and are interested in contributing to a SharePoint Community project (IE: Volunteer), send me an email. shane@graphicalwonder.com. Hint: It has to do with the SharePoint Community Kit, http://sharepoint.microsoft.com/sharepoint/cks/uge/default.aspx – so if you are involved with French User Groups this might be of particular interest. While out and about yesterday I picked up a Nintendo WII to add to the entertainment arsenal and I must say I’m quite pleased with the purchase. It is showing some true innovation in gaming and I would venture as far as to say this is likely a glimpse into the future of game interactivity. While it doesn’t have near the features, or graphics ability of the XBOX 360, it is quite simply a lot of fun, especially with a group of people. 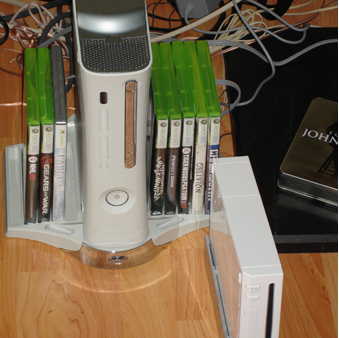 The XBOX 360 will still handle my Media Center, and of course has tonnes of awesome games with killer graphics so it certainly won’t be replaced any time soon. 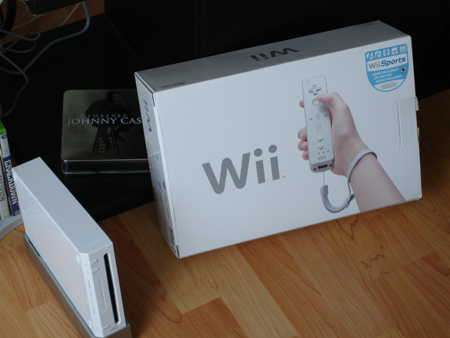 The WII is simply an addition to the unit and so far, a pretty good one. In a world obsessed with web 2.0, we will need something to build it with. Something like say, XHTML 2.0? Just a reminder to everyone that we are now accepting submissions for the Birds of a Feather sessions for Tech Ed 2007 in Orlando. You can submit your topic here. They are sessions that take place during Tech Ed that cover a variety of topics. Last year we had fantastic sessions covering topics from geeks with serious diseases to technical sessions covering SharePoint, Visual Studio Team System or Community Server. You can submit a topic and then moderate it. The sessions are not intended to be lecture style which is more typical in the breakout sessions. Instead they are discussions where a group of peers come together and share their ideas and questions around common topic. Found these SharePoint Designer 2007 demos from Mike Gannotti’s blog. There are six video demos along with articles on using various features of SharePoint Designer such as Creating Page Layouts, workflows and basic UI Customiazations. If you are trying to wrap your head around where and when (and how) you should use SharePoint DEsigner, these might be a good starting point. Now that we are done our book (WaaaaHooooooo), I am hoping to get some more of this type of content created so I can post here and not be such a terrible blogger. Especially related to some of the applications I have been neglecting lately including InfoPath, SharePoint Designer and Project Server and how they integrate with WSS & MOSS. The 2nd part of the article I co-wrote as a guest entry on the ECM blog highlighting a project I worked on a couple of months back has been posted. This installment is more about the branding which of course was my responsibility in the whole thing. 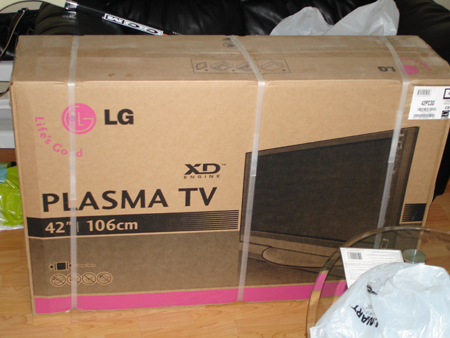 Last night Amanda and I picked up a new gadget for our living room. We’ve been so buried in book and other projects over the past 6 months we figured it was time to buy something fun! We came home with this! 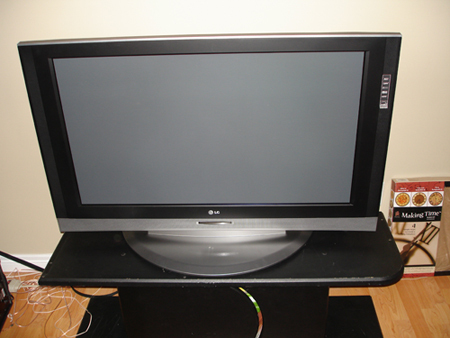 Now we can see how much better the XBOX360 is in High Definition!